On behalf of the Dutkanych family I would like to personally thank you for the time, coaching, and leadership you have provided Carson for the last three years. I have seen and been around many coaches in many sports both as a parent and as an individual. Including having access to many high school and college team coaches with my older son Dillon. Mike you possess all of the characteristics that make you individually, a great coach and leader of young men and women. Carson is fortunate, because of you he is being considered for opportunities of higher education and playing Lacrosse at the next level be it D-1 to D-3. Carson would never have been afforded these opportunities without your influence in coaching, and your connections, from years of playing D-1 lacrosse at North Carolina. Mike’s influence with these young men and women gives them a chance to become better student athletes and at the same time better lacrosse players. Thank god we have Mike Acee and 212 Lacrosse in Park City. Mike Acee’s interest in advancing my player’s skills and opening up opportunities for progression to college level play has been fantastic. Mike provided not only effective coaching to build skills in dodging, stick handling, and shooting, he also provided instrumental guidance in obtaining visibility from college coaches. Furthermore, Mike took the time, and used terrific insight, to prepare my player to compete with any player, from any part of the country, in any situation. In my opinion, Mike provides players with a solid roadmap to succeed, and backs it up by developing the skills and confidence required to excel at the high school level and beyond. Park City Junior Lacrosse Girls Team (7th/8th grade), following in the footsteps of the successful high school Varsity and JV girl’s lacrosse teams, wrapped up an undefeated season by beating Riverton in the Utah Lacrosse Association junior state championship. Head Coach Mike Acee (former UNC player), led the team to a 11-3 championship win over Riverton, who themselves had not lost a regular season game in 3 years. The PC girls had also gone undefeated at a pre-season tournament and then decisively won all 10 regular season games before making the playoffs. The team’s outstanding performance throughout the year was a combination of great teamwork and leadership. The team racked up a staggering 189 goals over 12 games, yet gave up only 42 goals. The powerful offensive was led by team captain and center, Danielle Lecher, who led the team with 71 goals and Blair Sisk, captain and offensive wing, who followed with 49 goals. Other goals were scored by: Hannah Hyatt (attack) – 20 goals; McKenna Tychsen (offensive wing) – 16 goals; Mina Berglund (attack) – 10 goals; Abby Briscoe (attack)-7 goals, Maime Graham(attack) – 6 goals; Ellie Meyer (defensive wing), Carlin O’Connell (attack) – 4 goals each, Megan Lee (defense)- 2 goals. The team’s stifling defense was led by Goalie Jaymee Hoffman who only allowed her opponents a stingy 42 goals all season while posting 49 saves. Hoffman’s confidence as goalie was shown by her quick stick protecting the net and a keen ability to recover loose balls around the crease area. Backing up Hoffman was an aggressive Park City defense dominated by Georgia Guyer, Grace Kilbourn, Cameron Perry, Megan Lee, and Ellie Meyer, who made it difficult for any team to have a shot on goal. Jennifer Librizzi, Jessie Smith, and Maddy Meza had a successful season playing offense and defense. Lecher, playing center, demonstrated her strength by controlling the draws, and her activity on offense and defense, with numerous interceptions and positive turnovers, created a dominating force on the field. Sisk’s lightning speed and aggressive play outmatched her offensive and defensive opponents season long. Great field vision by Hyatt and Tychsen ignited a vaunted transition game. Graham, Berglund and Briscoe delivered accurate passing around the net, while O’Connell’s constant control behind the net area set up many successful shots on goal. On defense great communication helped to prevent defensive breakdowns from occurring. The double defensive teaming by Guyer, Meyer and Perry shut down most offensive strikes. Kilbourn and Lee’s showed their ability to read the opponent’s attack and intercepted passes at every game. Lee’s close work with goalie resulted in successful clears and her quick, long passes moved the ball into the offensive zone. Librizzi, Meza and Smith, playing mid-field defense, slowed down the ball and caused many positive turnovers. The growth and the success of the Park City Youth Lacrosse Program is evident in the number of junior and thunder girl’s teams and their strong results this season. Our family has a “Gem” designation for the people, places and things we have come across over the years that we feel are truly special and far surpassed our expectations. 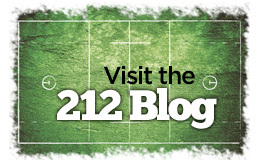 Mike Acee and 212 Lacrosse fall easily into this designation. As an 8th grader, our daughter was fortunate enough to participate in several 212 Lacrosse camps and clinics and have her “Rec” team coached by Mike for both fall and spring ball. Mike has experience, knowledge and enthusiasm for the game and, better yet, he has the ability to communicate all of this to his players. With Mike and 212 Lacrosse our daughter was able to build a strong skills foundation and a love for the game on which she is still relying at the High School, Club and National level. As parents of two teenage lacrosse players who were both new to the sport a couple years ago … Mike Acee (and his 212 Lacrosse Program) has been instrumental in developing our children’s lacrosse skills and knowledge of the game. 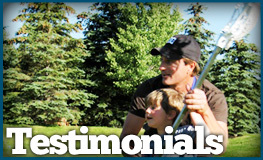 We were fortunate to meet Mike just as our kids starting playing the sport (in fact, the first time my son picked up a lacrosse stick was at Mike’s summer camp – and he came home with a smile on his face and could not wait for the next camp session). The time and effort Mike gives all the kids in his program is impressive. Mike has worked with our children both privately and in group settings via his camps – and the improvement in both of their games was quick – and he always makes time for our questions. He gets to know each kid and teaches not only the correct lacrosse skills but how to play the game the right way – keeping the integrity of the game at the heart of his lessons. What we really enjoy about Mike is his positive attitude and constant encouragement with the kids. Mike relates well with kids of all ages and the parents too (many of us who are novices to the game) – we’ve enjoyed getting to know Mike over the years and look forward to our continued relationship. Mike’s lacrosse experience and knowledge are immense and the respect among his peers is deep … he is well connected in the lacrosse community, yet he is one of the most humble guys we have ever met. We would highly recommend any child interested in improving their lacrosse skills to work with Mike and his 212 Lacrosse Program.